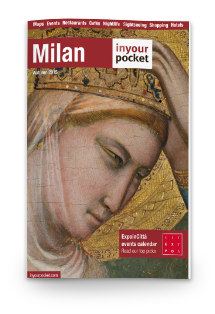 We continue our exploratory journey to discover the Milan civic museums. One of the most important museums is the Milan Gallery of Modern Art, also called GAM. This museum houses works of the nineteenth century. To reach the Milan Gallery of Modern Art you can take the yellow Milan underground and get off at the Turati stop or take the red Milan underground and get off at Palestro stop, you will find the museum in via Palestro 16. 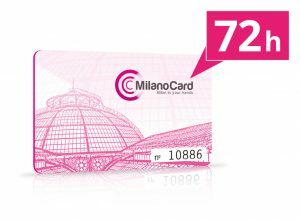 Thanks to MilanoCard, the Milan City Pass, you can get free Milan public transport, click here and find out more information. 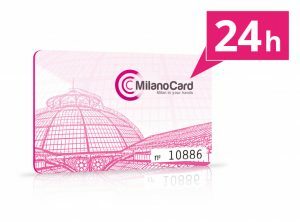 The MilanoCard will also get you a discount to visit all the civic museums of Milan, find out how! 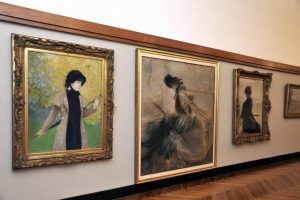 Read the history and collection of the Milan Gallery of Modern Art below! The exhibition venue is housed in Villa Belgiojoso, built on a project by Leopoldo Pollack between 1790 and 1796 as the residence of Count Lodovico Barbiano di Belgiojoso. Shortly after the end of the construction, the villa passed into the hands of the French, becoming the seat of the military governor of Milan, Gioacchino Murat. 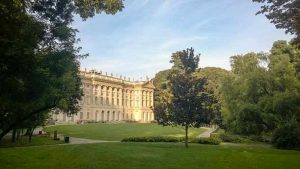 In 1804, the vice president of the Italian Republic Melzi d’Eril bought the villa to donate it to Napoleon, on this occasion, the building took the name of “Villa Bonaparte”. After the unification of Italy, the villa was assigned to the Crown of Italy and enters a long period of neglect. In 1920, it passed under the City of Milan, on this occasion it was decided to assign this important building to the exhibition site of the Milan Gallery of Modern Art, inaugurated in 1921. 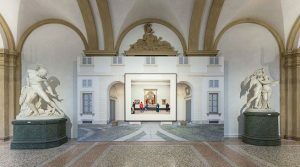 The collections of the Gallery of Modern Art in Milan are housed on the first and second floor of the Villa Reale, which is accessed from the atrium to the center of the ground floor and the next staircase. To open the exhibition path, there are those of two main artists of Neoclacissismo, Antonio Canova and Andrea Appiani. Two entire rooms are dedicated to portraits, including those painted by Francesco Hayez. Continuing the visit, on the second floor you can find works of twentieth century painting, including works by Manet, Cézanne, Van Gogh and Gauguin, up to the rooms dedicated to painting and sculpture of the twentieth century Italian (Carrà, De Pisis, Modigliani, Morandi, Sironi). To complete the discovery of the works of the artists of the twentieth century avant-gardes, take the red Milan underground or the yellow Milan underground from the stop Palestro and get off at Piazza Duomo, here you will find the Milan Museum of the Twentieth Century.